Since my arrival at Saint Joe’s I’ve been knee-deep in classroom design. 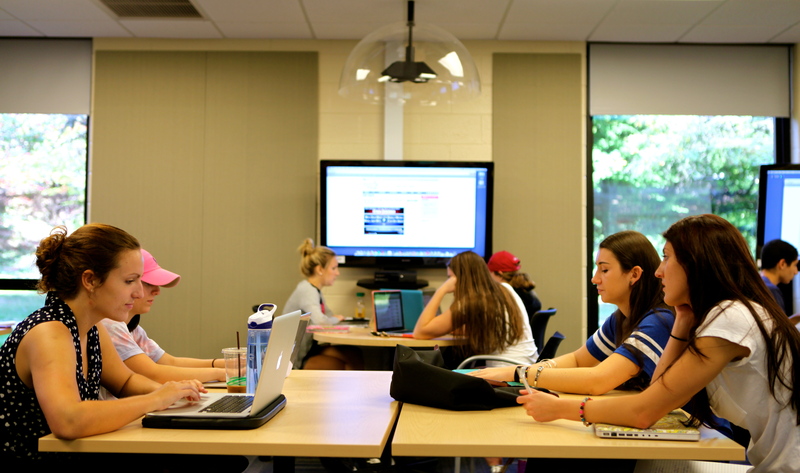 Thanks to the unified forces of the Communication Studies Department, IT, Media Services, facilities, and administration at Saint Joseph’s University, I am happy to report that we transformed Merion 174 into an innovative collaborative technology classroom. 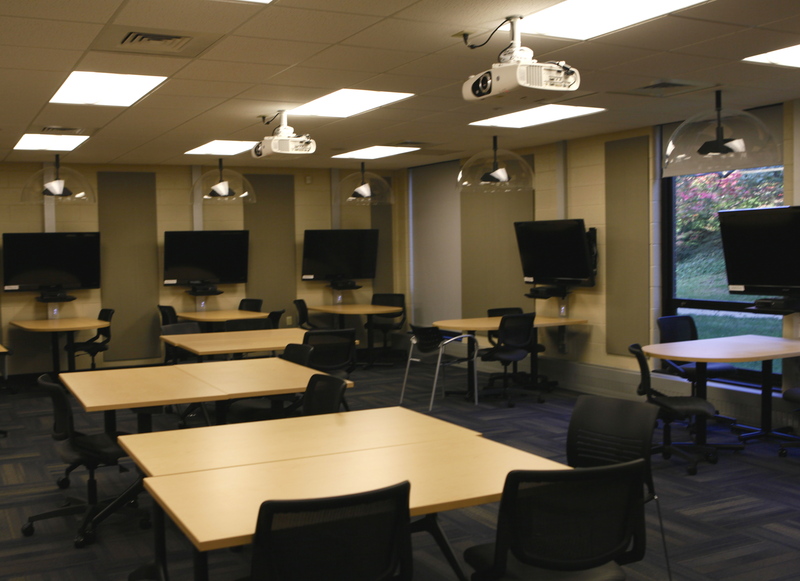 This classroom is an ideal space for teaching and learning in our department. Our curriculum, centered on digital production, emphasizes hands-on, experiential learning. 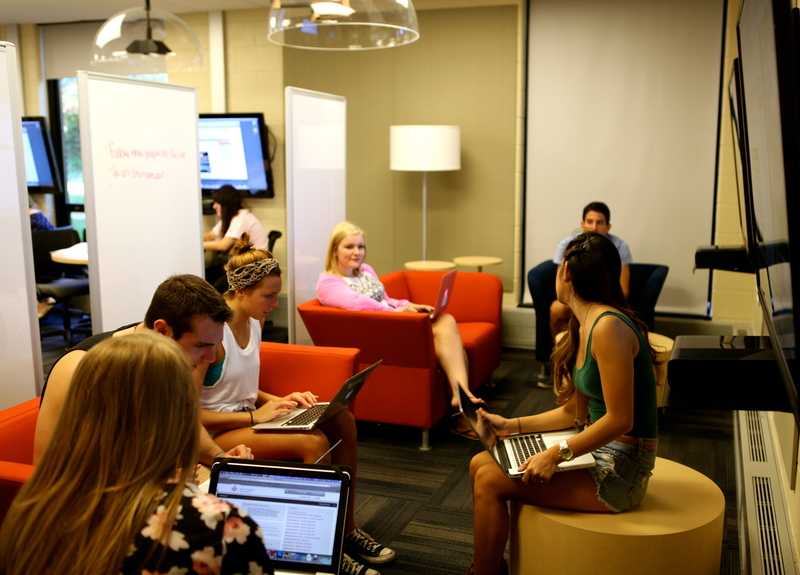 All students in our Communication Studies department combine theory and practice as they “learn by doing.” Projects focus on the creation of media-convergent texts that combine multiple modalities including sound, image, and user interaction. 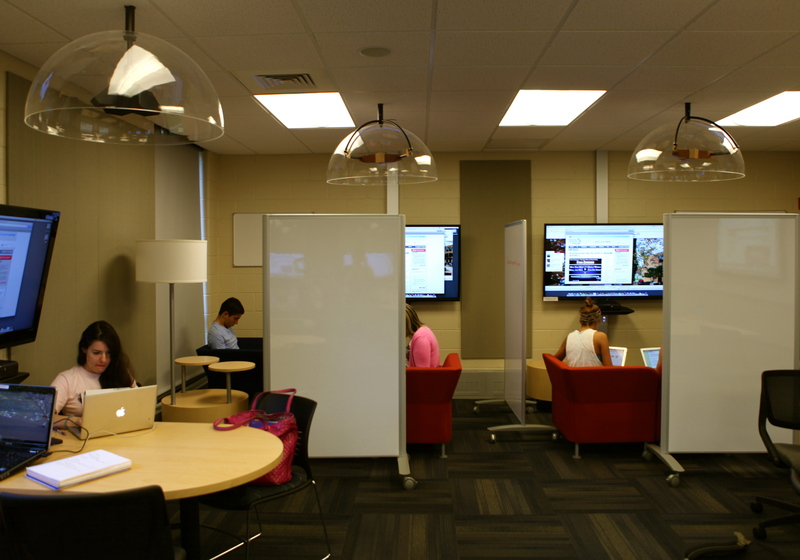 The room features wall-mounted HDTVs, breakaway tables and chairs, sound domes, XBox video game consoles, Tidebreak’s collaborative learning software, and a technology cart with notebook and tablet computers for student use. 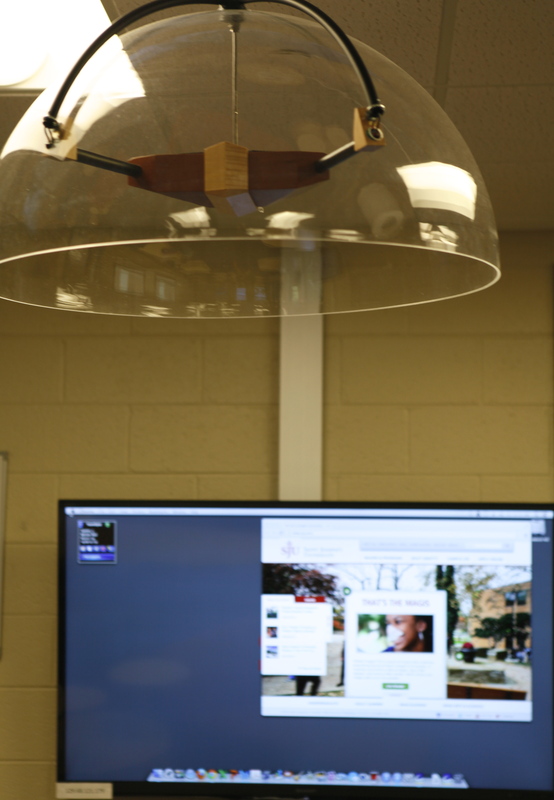 The custom-made Brown Innovations Sound Domes installed in the classroom have directional speakers which localize sound. They focus the sound for small groups directly under the speaker dome, which keeps the overall classroom noise to a manageable level. The classroom features Tidebreak’s collaborative software ClassSpot. Students are able to share screens and files with each other. 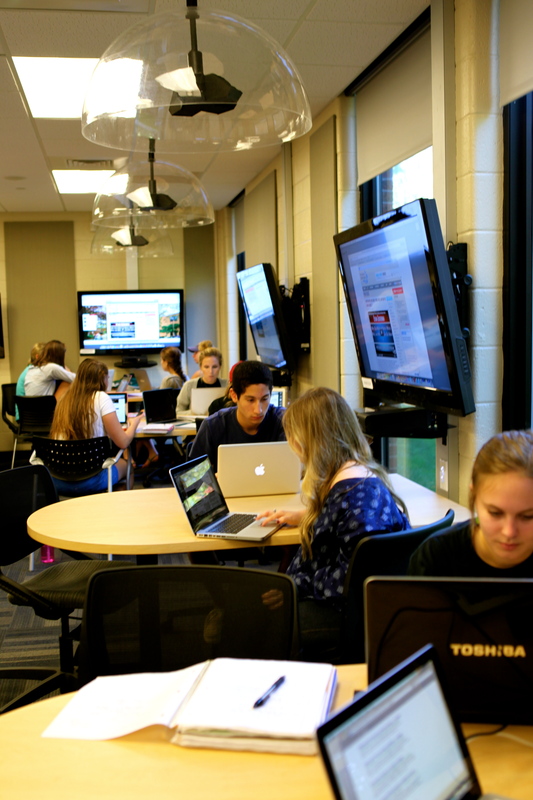 They can remotely take control of any screen in the room, which speaks to the student-centered pedagogy we value in our department. 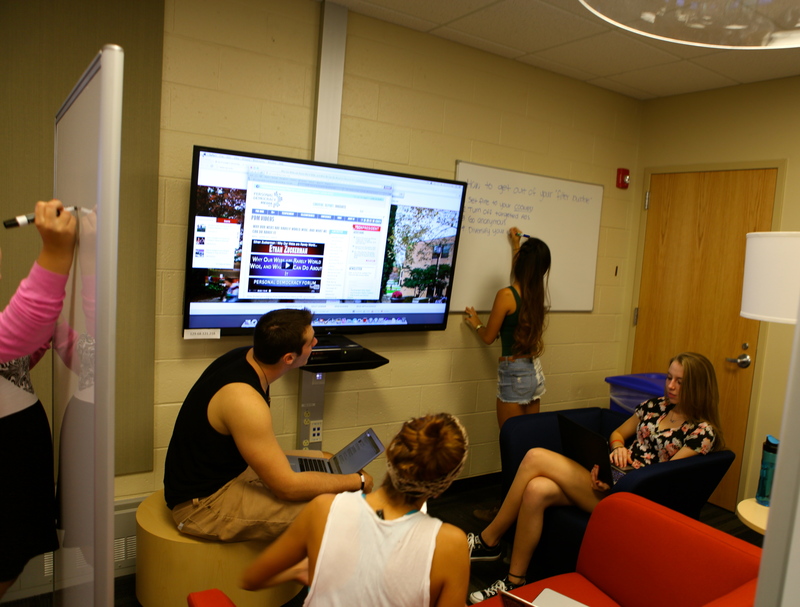 With moveable white boards, couches, and comfortable chairs, the room can easily be re-arranged to suit a variety of needs, including small group work, usability testing, and gaming. We invite everyone to visit Merion 174 to see the new space. Forthcoming. Making Space: Writing Instruction, Infrastructure, and Multiliteracies. Design Philosophy for a Multimodal Composition Classroom from Aesthetically on Vimeo. Forthcoming. Journal of Interactive Technology and Pedagogy, 1(3). We Need to Talk: How can spaces bring people together to promote learning? Space impacts learning. Designed spaces can encourage exploration, collaboration, and engagement Or physical spaces can say – it’s alright to check-out and go to sleep. As knowledge is socially constructed, always done together, our department seeks to design spaces that increase human contact, communication, and collaboration. This video features students and faculty teaching and learning in a multimodal production classroom. In 2011 I built my dream classroom. In light of this miraculous event, Jentery Sayers invited me to present ideas on “Hacking the Classroom” at Computers and Writing 2012 at North Carolina State University in Raleigh. The goal of our panel was to ignite a conversation about “Why the higher ed classroom needs to be hacked, and how might we hack it?” The panel was kindly reviewed by Crystal VanKooten on the University of Michigan Digital Rhetoric Collaborative blog here. That day I told the audience that we need to start sharing what our classrooms look like, what we do inside them, and what technologies we use and would like to use. I also created an infographic which illustrated three optimal designs for networked, highly-productive, learner-centered spaces. During my presentation, I told the story of how I was able to design and build one of these spaces at my institution. I then told the audience that I want to start building the other two: 1) a technology rich arena theater (based on a design from Second Life) and 2) videogame breakout room/s. At the end of my talk I told the audience that I hoped to be standing in front of them next time, showing them my new classrooms.